Home > Blog > The Calm Gallery is 6! The Calm Gallery is 6! Happy (very belated) new year everyone! We have been so busy this month that not only have we not posted for ages but we also forgot our own birthday! The Calm Gallery turned 6 this month and to celebrate we are offering free worldwide delivery for 6 days. 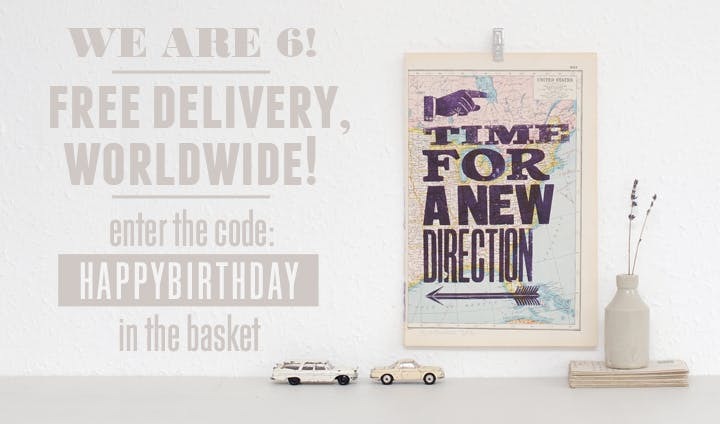 Just use the code HAPPYBIRTHDAY in the basket. Hooray!